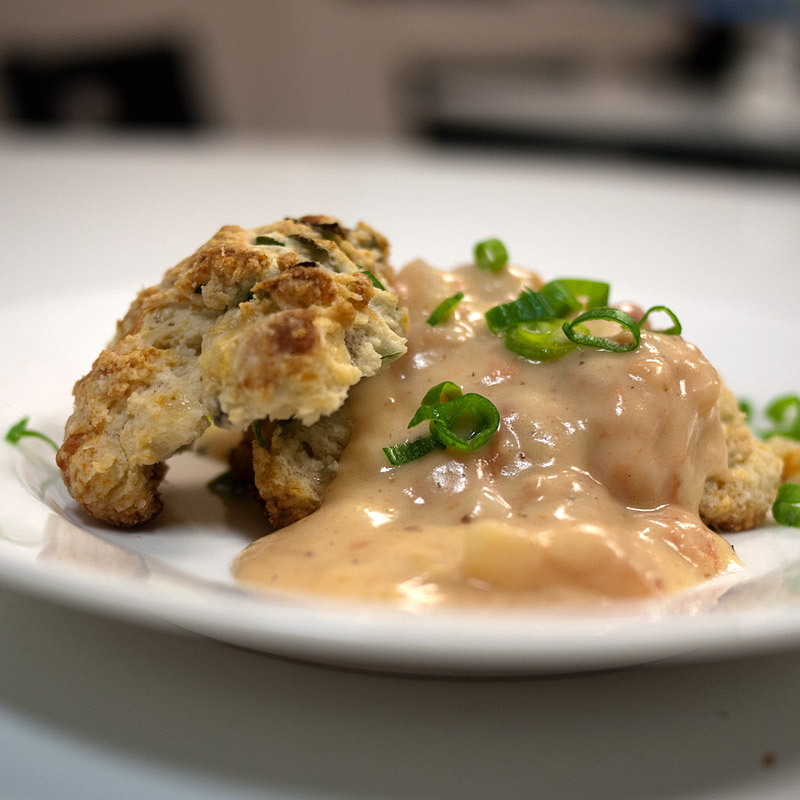 This recipe was a happy little accident. 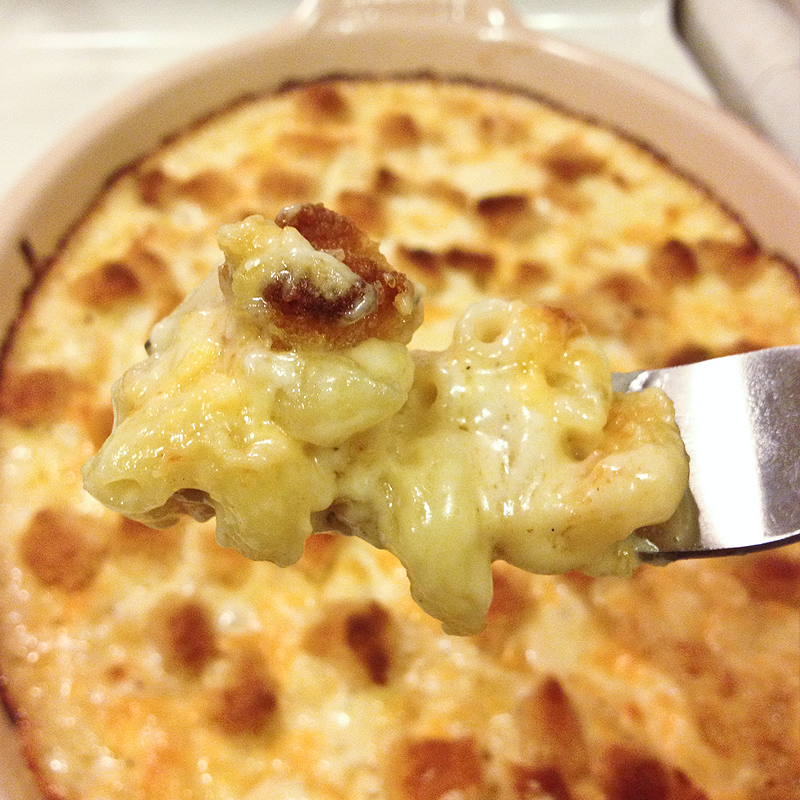 I originally intended to make a butternut squash gratin, but when I cut into my butternut squash it was a rotting mess. 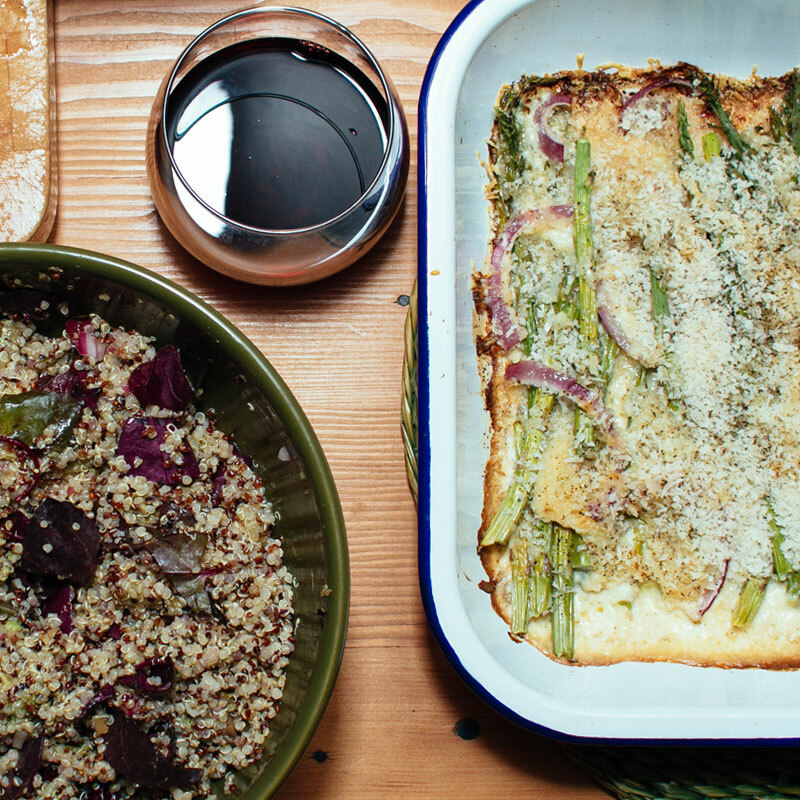 Luckily, Chantal had some asparagus for me, so my butternut squash gratin happily became my asparagus gratin. 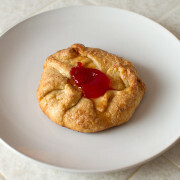 You don’t *really* need a recipe for this. In fact, I didn’t actually measure anything, so I’m just going to give you some approximations – adjust any and everything to your liking! 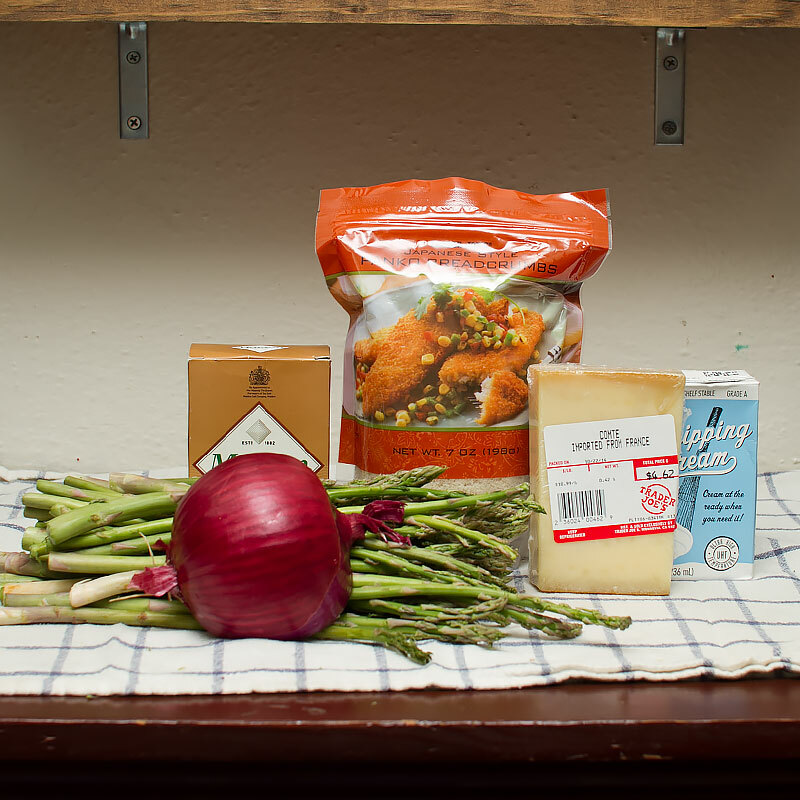 You’ll need asparagus, red onion, panko or breadcrumbs, heavy cream and comté cheese (or comparable cheese of your choice). 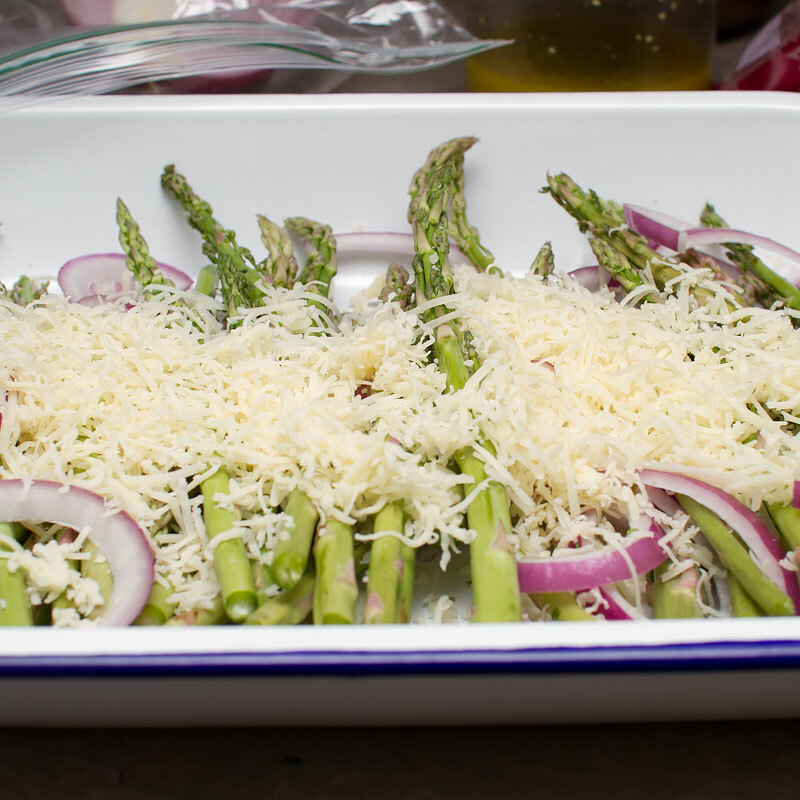 Place the asparagus in a baking dish and top with sliced red onions and cheese. 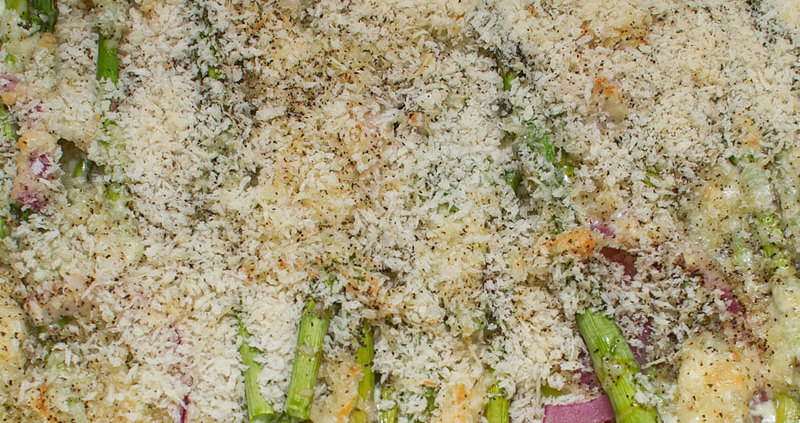 Top with panko, salt and pepper and bake at 400F for 15-20 minutes, until the cheese is browned and bubbly and the asparagus is cooked through. Easy peasy lemon squeezy! 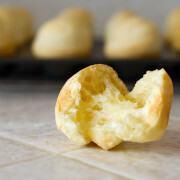 Ooh, a little squeeze of lemon juice might be nice on this too. Try that and report back! 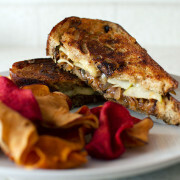 I served this with some roasted pork loin and a smoked avocado and quinoa salad. 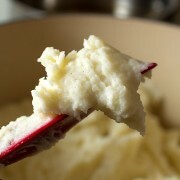 A super simple and quick side dish! 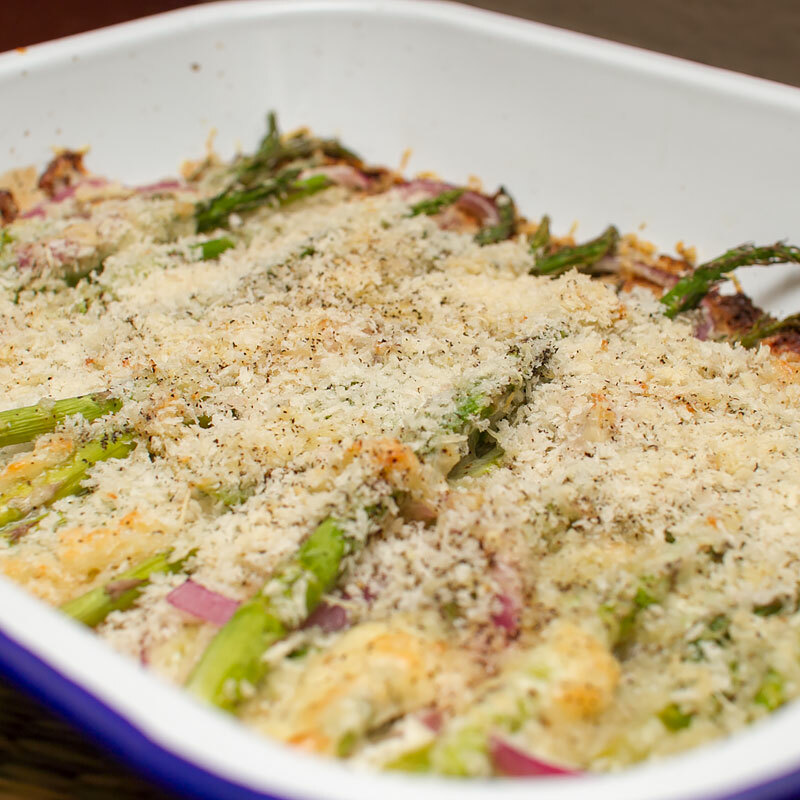 Place asparagus in a baking dish and top with sliced red onions. 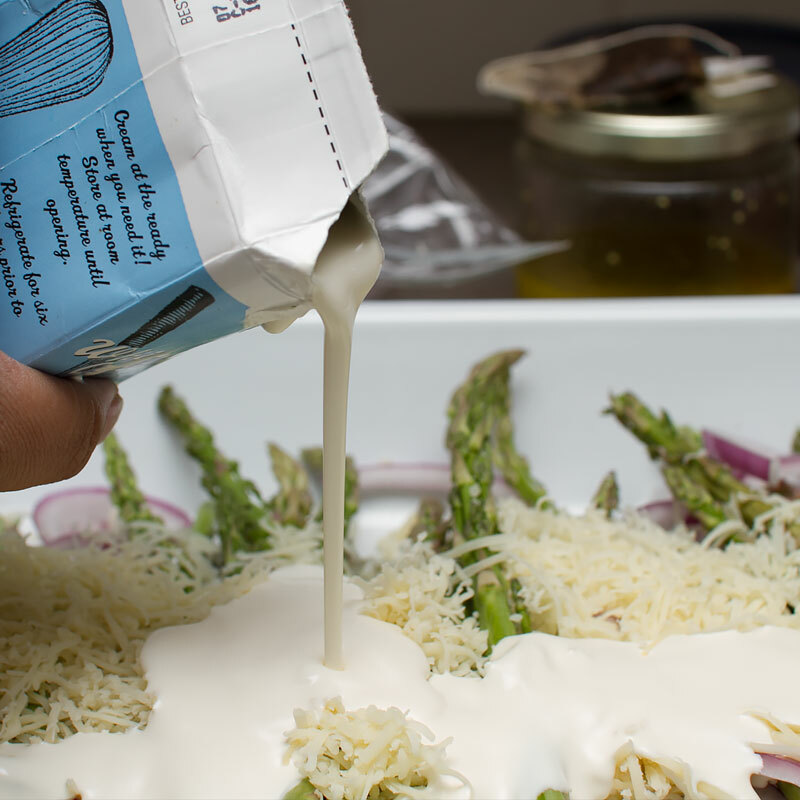 Add grated cheese and pour heavy cream over. 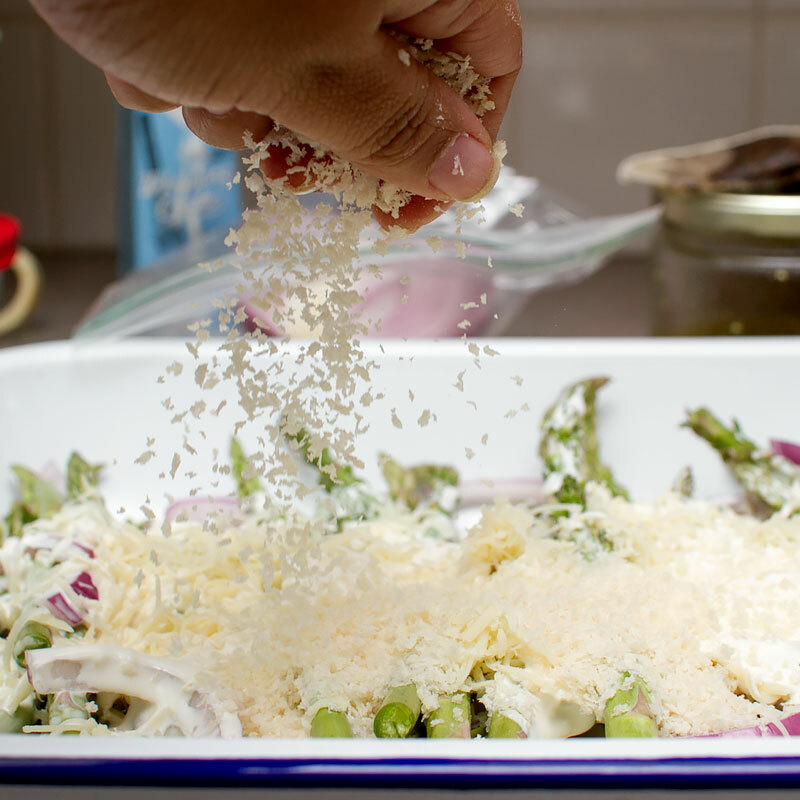 Top with panko crumbs and add salt and pepper (a few grinds of each). 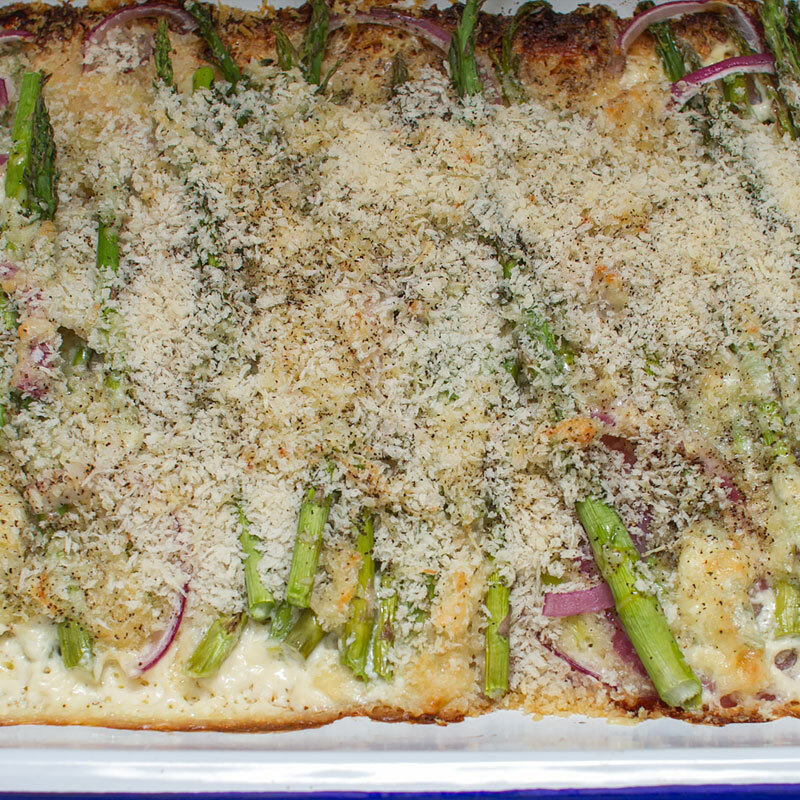 Bake for 15-20 minutes, until asparagus is tender, cheese and breadcrumbs are bubbly and browned. Serve immediately. Guuuuuuurl! 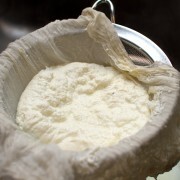 I need me a scoop of THIS. 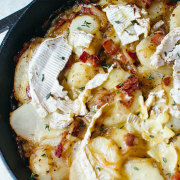 I love a good gratin, and this one looks so creamy and crunchy.